Summer loves are always memorable and for the summer of 2014, many of us have fallen in love with the same...tree. Yeah, that big, branchy, lovable, Groot from "Guardians of the Galaxy" has no doubt, captured out hearts. 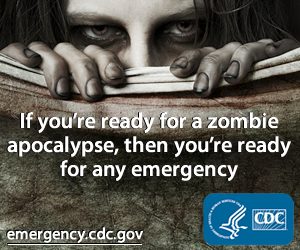 Just say, "We are Groot." to someone who's seen the film and you might as well just pass them a Kleenex. The fun folks over at Yahoo! Movies also took an interest in the Marvel-ous timber and noticed some similarities to some other beloved movie characters. They stated, "As we were watching Guardians, we saw shades of multiple cinematic creatures including Edward Scissorhands and his long, piercing fingers, E.T. and his shimmering eyes, and Chewbacca and his garbled roar that only Han Solo seems to understand. 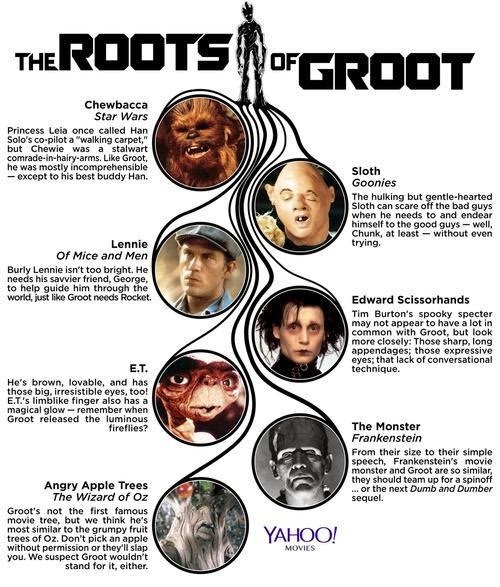 We decided to break down all of Groot’s movie ancestors in one handy infographic." Check out "The Roots of Groot" below and let us know not only if you agree with their observances but if you can think of any other characters similar to Groot.